If you are a fan of Colleen Hoover then you know that this one is going to be a tear-jerker. She has a way of creating stories that just grab your heart, rip it out of your chest, play volleyball with it, before spiking it to the ground. And the best part is, you keep coming back for more. It’s the best kind of torture and I for one can’t wait to see the creative way she’s breaks us this time. You can buy the book on Amazon, Barnes and Noble, Kobo, iTunes. Are you going to buy November 9? 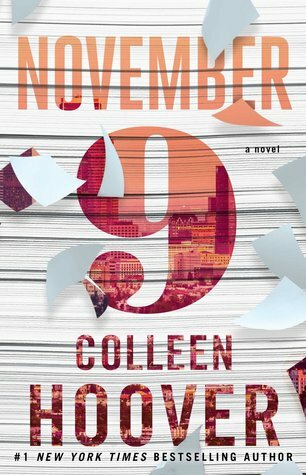 This entry was posted in Books and tagged Colleen Hoover, November 9.